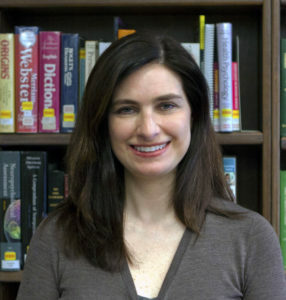 Dr. Martin received her graduate education in clinical psychology at the Illinois School of Professional Psychology. 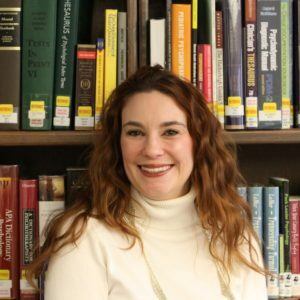 She completed her APA accredited internship at the University of Michigan, and pre-doctoral clinical training at a VA Hospital, a college counseling center, and a hospital-based outpatient behavioral health clinic. Prior to joining MSP Dr. Martin was a medical school faculty member, where she was the Training Director for neuropsychology services within the physical medicine and rehabilitation department. In this role Dr. Martin provided inpatient and outpatient services and training for psychology students, medical residents, and a brain injury fellow. As MSP’s DCT, Dr. Martin has the opportunity to share her passion for training future psychologists through investing in their development. She values supporting graduate students as they navigate the training process and engage in opportunities to apply the knowledge and skills they gain in the academic setting. Roskos, P., & Martin, H. (2015, November). Non-pharmacological management of behavior issues in brain injury rehabilitation. Lecture presented at the Brain Injury Fellowship Lecture Series, Taylor, MI. Martin, H., & Roskos, P. (2015, September). Emotional and psychological factors in TBI rehabilitation. Lecture presented at the Brain Injury Fellowship Lecture Series, Taylor, MI. Roskos, P., & Martin, H. (2015, September). Evaluation of cognitive functioning in patients with TBI over the continuum of rehabilitation care. Lecture presented at the Brain Injury Fellowship Lecture Series, Taylor, MI. Roskos, P., & Martin, H. (2014, August). Neuropsychology in the context of rehabilitation: Cognitive and emotional evaluation and intervention. Lecture presented at the Physical Medicine and Rehabilitation Residency Lecture Series, Taylor, MI. Soet, J., Martin, H., & Sevig, T. (2004, February). Spiritual issues in counseling college students. Presentation conducted at the annual Big Ten Counseling Centers Conference, West Lafayette, IN. Martin, H., & Weinberg, J. (2001, June). Treating psychotic patients who refuse neuroleptic treatment. Clinical case conference at Cook County Hospital, Department of Psychiatry, Chicago, IL. Soet, J., & Martin, H. (2007). Women and spirituality: An experiential group for female graduate students. Journal of College Counseling, 10(1), 90-96. Why are you interested in training psychology students? By seeking this type of education, individuals are choosing to make a change in their lives and open themselves to a very special experience. Training in psychology is often transformational in people’s lives as they gain knowledge and skills as well as expand their worldviews and senses of self. Students are not only developing their professional identities but also determining how they wish to contribute to making a difference in other people’s lives as they pursue a career with a sense of meaning and purpose. I appreciate the opportunity to contribute to building a foundation for future psychologists. What do you think is important for students to keep in mind as they pursue training experiences? I encourage students to view their training experiences as a means of growth and to grant themselves permission to step outside of their comfort zones. I believe every experience has the potential to be helpful, even if it is the discovery that a type of setting, intervention, or style of interaction is not a good match for you. I suggest that students maintain flexibility as they approach training, foster a positive, encouraging inner dialogue with themselves, and reach out to others when needed. Over time, it is helpful to gain a sense of your strengths and what makes you unique, which includes aspects of personal identity, character, values, and life experience.